One of the commercial barter industry's real do-er's, Paul St. Martin was President of the Allan R. Hackel Organization, Past-President of IRTA's Corporate Barter Council, and served multiple terms on IRTA's Board of Directors as treasurer. On Wednesday, March 6, Paul had finished his morning run and at 7:30 a.m. he collapsed and died. He was 46 years old and leaves behind his wife of 23 years, Cathy, and three children. Paul St. Martin was both a gentleman and a delight to be around. He was well-respected by his peers for his ethics, intellectual acuity, and unusual ability to sincerely communicate with everyone. He was a wonderful ambassador for the commercial barter industry. Honest, hardworking, and open-minded, his perpetual smile and upbeat "can-do" attitude will be missed by us all. Our economy has been shifting to services, which is why the small business share of the U.S. gross domestic product (GDP) is growing...now 52% of the economy! Small businesses account for 68 percent of services, 65 percent of wholesale and retail, but just 27 percent of mining and manufacturing. It's now clear that the health of small business is a driving force in our economy. 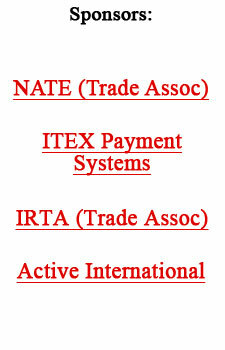 ITEX has announced the operating results for its second fiscal quarter ending January 31, 2002. The company reported a net loss of $155,000 compared to a net loss of $842,000 for the same period last year. Earnings before interest, taxes, depreciation, and amortization were $28,000 versus a loss of $408,000 for same period last year. Wages and salaries decreased $370,000, or 38%, from first fiscal quarter...a projected annual savings of $1,400,000. Net profits were increased by $283,000 due to the sale of corporate regional offices to ITEX Independent Brokers; the promissory note to Network Commerce for the purchase of Ubarter.com Canada was paid off; settlement agreements were reached in several significant litigation matters; and ten new ITEX brokers were recruited and trained, bringing the total number of brokers in the U.S. and Canada to 88. What's the most addictive online destination? According to Nielsen//NetRatings that distinction goes to finance and investment web sites. Their report indicates financial web sites outscore every other category in depth of usage...including the popular search engines, portals, and online communities. Patrick Thomas, senior Internet analyst at NetRatings, says, "we are seeing the true adoption of the Internet as a resource consumers turn to in order to move money and monitor their financial holdings." The Cato Institute, a public policy research foundation dedicated to broadening policy debate, says President Bush's corporate accountability plan is well-intentioned, but misses the mark. "Rather than setting up a new oversight body for the accounting profession, a better idea would be to eliminate SEC auditing requirements that suppress innovations in information disclosure and give auditing firms a captive market." Motient Corporation, owner and operator of the nation's largest wireless data network, announced that Jennifer Kearney has been named "Top Exhibit and Event Manager for 2001" by Exhibitor magazine. Kearney was recognized for navigating Motient's trade show program through a reduced budget, eliminated advertising, and a full schedule. She did so through inventive means, by bartering Motient's products for banners, logo-emblazoned kiosks, and show directory advertisements from trade show management. Thus saving the company $300,000 in trade show fees while successfully promoting its services to exhibitors, visitors, and show management. Bradley Schiller, professor of economics at American University's School of Public Affairs says outsourcing and weak labor unions are the reason for the mild recession we've experienced. Schiller contends the decline in unionism, falling from over 20% in 1980 to less than 14% today (in the private sector it's less than 9%), has kept a lid on wages and reduced structural rigidities in the workplace that inhibit productivity advance. With the decline of unionism, outsourcing has accelerated which allows faster retrenchment in response to declining sales. Outsourcing also provides a mechanism for ramping-up production when sales rebound. The recession may turn out to be the mildest in U.S. history, with analysts saying the recession ended either in January or February. The recent downturn has been most unusual because consumer spending on big-ticket items (houses and autos) remained strong. Normally they are hit hard in a recession. NATE (the National Association of Trade Exchanges) wants to remind the industry of their upcoming convention slated for May 15 in New Orleans. They have extended the window of opportunity for obtaining a discount, through April 15. For more info see their web site at www.nate.org. Although blue chip advertisers are uncomfortable with the current national trend of "low-rent" advertising, the marketplace is embracing them...due to the advertising slowdown. As a result we're seeing ads on national TV for hair clubs, credit-counseling services, teeth whiteners, and flab-fighting belts! Most of the new advertisers are direct-response oriented, working out low prices on a space-available basis with the TV outlets by suggesting, "the tape is on the shelf; run it (the ad) anytime you have open slots." When will a turnaround in advertising take place? CEO Martin Sorrell of WPP Group, one of the world's largest ad agencies, says 2002 will be a difficult year, with any recovery being gradual and toward the end of the year. He also believes conditions may only be "slightly better" in 2003. Now, more than ever, promoting barter will pay off. Trade exchange owners looking for a proven way to motivate their client base and stimulate more trading activity can obtain a copy of the 16-year-old, proven, informational marketing tool: The Competitive Edge newsletter. The Competitive Edge is designed to be mailed to clients and prospects because research among the exchange owners shows that only a third of their members receive e-mail. Now available in PDF (Acrobat) format. E-mail bmeyer@barternews.com for a sample copy and details. (Be sure to include your complete mailing address and phone number.